Welcome to a new level of luxury and comfort with our flagship penthouse PLUS apartment. Boasting fantastic sea and pool views, the penthouse PLUS apartment has been designed with no compromise to give you the best holiday experience at Paloma Beach. 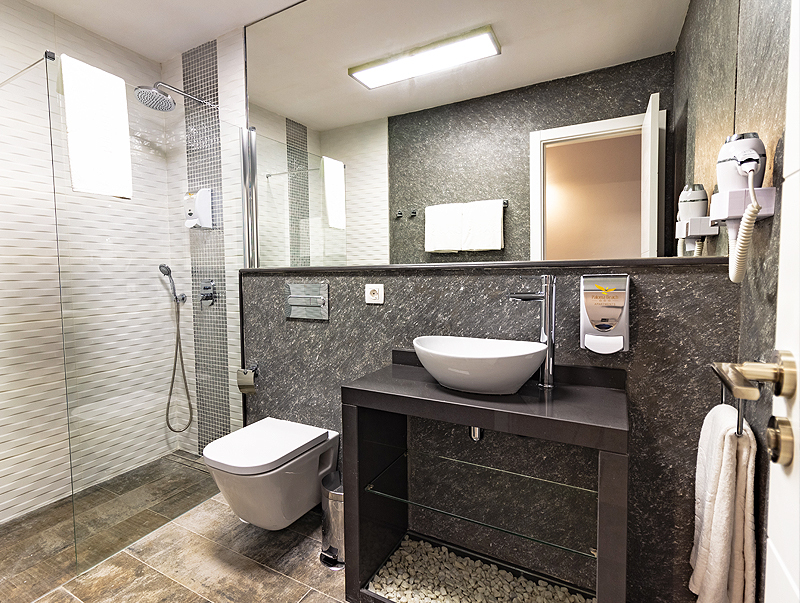 From the high quality modern furnishings and decor through to the full air conditioning, star lights in the ceiling and even the beautiful rain shower in the bathroom, every aspect of the penthouse PLUS is sure to impress. Our 1 Bedroom Penthouse Plus Apartment is our showpiece property. Currently the only apartment of its kind at Paloma Beach Apartments. Check out is 11am. If the following guests do not arrive until later this can be extended by up to 2 hours, or where available until the next day for the standard rate.